1. 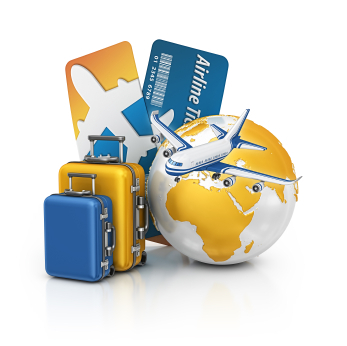 Airline Loyalty Programs: Many years ago before I had kids, I had a job that involved lots of travel. Planning ahead, I decided to travel on one main airline and join their loyalty program to accumulate miles. That paid off – years later I still have an American Airlines Gold card that gives me advantages like going through the ticketing First Class line in some airports, travel upgrades and lots of trips subsidized by miles. As parents, it is also a good idea to look ahead at the routes you think your family will be traveling to find the right airline to sign up with. Also make sure to sign up each family member up with their own loyalty card. When considering which airline to focus on, also look at their “partner” airlines that you can travel on and still accumulate miles. For example, while American Airlines does not fly all the routes our family needed, looking at partners such as Alaska Airlines helped up cover most of our travel destinations while still earning miles. We also signed up for Virgin America loyalty program because we can count on their high tech planes having WiFi to make our travel more productive and entertaining! Luckily, over time more and more planes across airlines have on-board WiFi. 2. Credit Cards that offer Travel points (and upgrades): Of course, it is optimal to pick a credit card with the best financial fit for your family. But along with that, families should consider credit cards that offer the ability to accumulate points for travel and travel upgrades. Not only can I use the points I earn on my American Express Card for airline and accommodations, but I can also use their travel service to help me book. 3. Hotel Upgrades: While this post and my participation in the Traveling Mom Twitter Party: Travel Upgrades was sponsored by Sheraton Hotels & Resorts, I have been in the Starwood Preferred Guest Program for some time and have been staying at Sheraton Hotels for years. I suggest families spend the time to join the hotel loyalty programs as another way to earn points and special member only experiences for hotels. Then while planning for family travel, see what types of deals and upgrades are available. Sheraton has a Club Rooms/ Club Lounge that offers conveniences such as complimentary breakfast, afternoon hors d’oeuvres, computer & printer and beverage options. When traveling with a family, a complimentary breakfast can even justify the cost of upgrading your hotel room (and be easier then getting everyone to go down to a restaurant together). Or when traveling with groups, socializing at the Club Lounge is more comfortable then meeting in hotel rooms. Another upgrade I always look for is great hotel health club with a spa so mama can get some E&S during the trip (exercise and spa). 4. Don’t Be Shy – Ask For What You Want: When making travel reservations, always ask or look into the upgrades possible. Even while checking into a hotel, it is always good to see if there are any special deals that have opened up for that day or upgrades available to make your trip more comfortable. What type of travel upgrades do you use or look forward to? CLICK HERE to JOIN IN FUN with the TravelingMom.com #TMOM #SHERATONCLUB Twitter party from 9-10 pm EST Monday June 17, 2013. Disclosure: This post and my participation in the Traveling Mom Twitter Party: Travel Upgrades was sponsored by Sheraton Hotels & Resorts. My opinions and tips are my own.